This answer on Stack Overflow shows another way to update specific columns of a database record in Linq to SQL: Map the table in the .dbml file a second time, but omit the long columns. 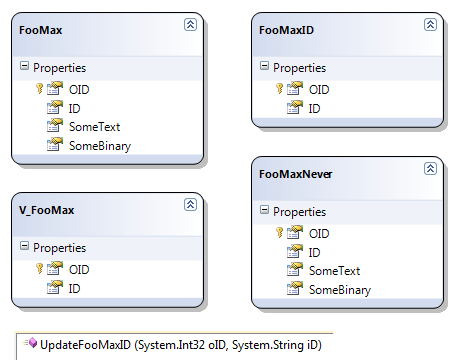 This entry was posted on Sunday, January 16th, 2011 at 10:45 and is filed under C#, LINQ to SQL, SQL Server. You can follow any responses to this entry through the RSS 2.0 feed. You can leave a response, or trackback from your own site.